This is the second year in we rocked our KCCGD crew all the way out to Lawrence, Kansas and hit up Memorial Stadium. The Purple Yeti’s wonderful girlfriend and her company provided the tickets and bus ride to watch Oklahoma take on Kansas. 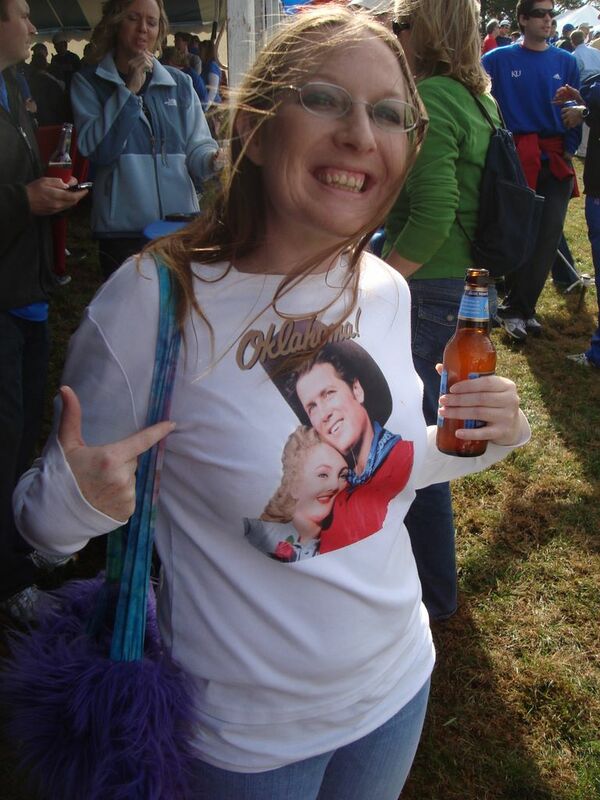 The tailgate had the usual fair, all while we weathered the fair weather at the stadium. That game itself was nowhere near fair and for the second year in a row, we left the stadium to go back to tent before the final whistle blew. There were a couple of notable differences from last year but that didn’t drag us down for this year’s first edition of Stadiumspotting. This year we took the bus again but we didn’t have to get up ultra early to hitch the ride. One of the great advantages for late afternoon games is that you can sleep in a couple of hours in the morning. 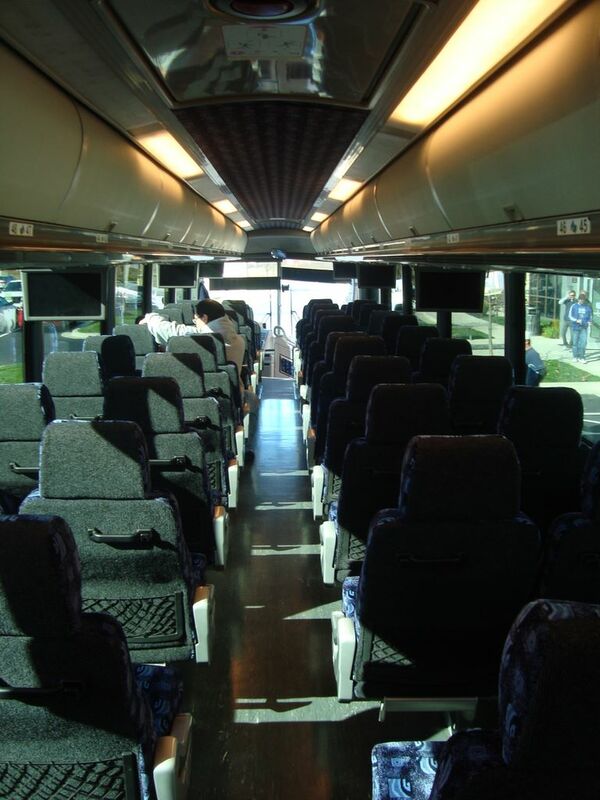 The bus had televisions but they weren’t on. The ultimate dream would’ve been some satellite action and current games beamed to the tubes. The buses got us there safe, while dodging kids selling $40 parking spots, and dropped us off close to the gates. Last year’s tailgating had a massive amount of breakfast food and drinks. This year’s delight saw a bit of a downgrade. 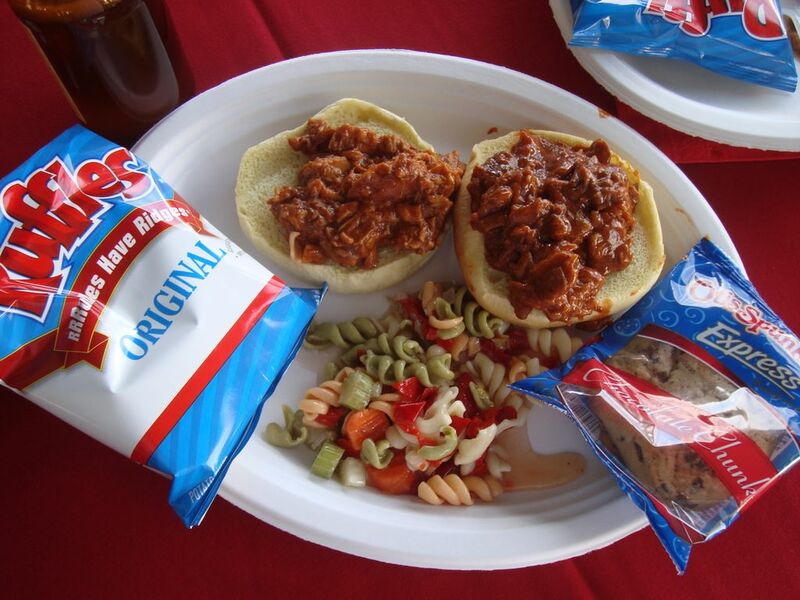 The bbq beef sandwich was great and we loved the pasta salad but cookies and chips were kind of weak. We could’ve also used some variety like we had last year in food selection. Same way with the drinks. Sure there was soda and beer, but nothing left for mixed drinks. The combination of a weak economy and the fact that this year’s game wasn’t the rivalry like the Sunflower Showdown probably influenced the menu. Well that and Oklahoma was a huge favorite. We scarfed down food and polished off some beer then headed into the stadium. We missed the parachutes and sat down just in time to see Oklahoma get in the end zone for their first score. That was about it for the rest of the game. Oklahoma dominated after a slow second quarter and made Kansas look like the Jayhawks of old. Todd Reesing alone looked far from NFL quality as he tossed 3 interceptions early and couldn’t muster the leadership to bring Kansas back. The thumping Kansas took bounced them out of the USA Today Top 25 and brought Oklahoma back in it. So we cleared the stadium around the start of the 4th quarter and headed back to the tent. 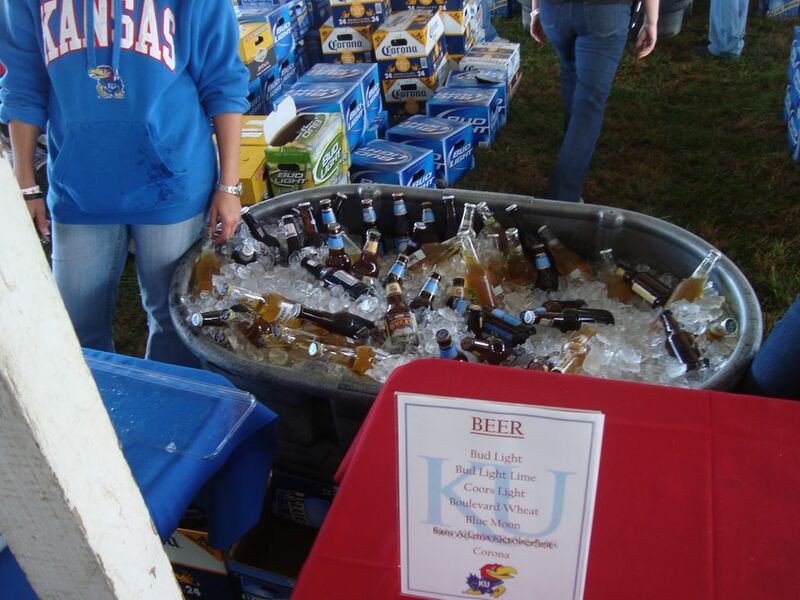 If you want a great tailgate, make sure you have enough beer. They did and we enjoyed some Blue Moon and Boulevard Wheat. The game finally ended and the drinks were still flowing. It took a good hour after the end of the game for the bus to show. Most of us got back safe enough, sans the one lady who ralphed all over the floor. Good times indeed. It was unfortunate that we missed some of the other day’s action. The year of football keeps getting weirder. Just look at who’s in first place in the Big 12 North. Kansas State. And by a game and a half. No one coming into this year would’ve thunk that. Kansas State beat Colorado earlier in the day. Even weirder was Nebraska choking up 8 turnovers and letting Iowa State beat them in Lincoln for the first time since 1977. Then we have Texas A&M rolling fire hot Texas Tech. Things evened out with Texas rolling Mizzou and Oklahoma State beating up Baylor. The rest of the football landscape was just too much so we’ll skip that. The road trip proved successful even though it wasn’t as spectacular as last year. Seriously, you can’t complain too much when everything is paid for. That said, it was a boring game and we’d like to thank the Oklahoma Sooners for making the Big 12 North scrambled up like the eggs I had this morning. The filled us up nice but we wished they would’ve had more for halftime. It’s a good thing they made up for it in booze. We’ve got one more Stadiumspot coming up this year. Until then, hook up with us as we hit another bar next Saturday.